The 2019 MileStat.com Indoor T&F Coach of The Year is Christiansburg's Brian Porter. 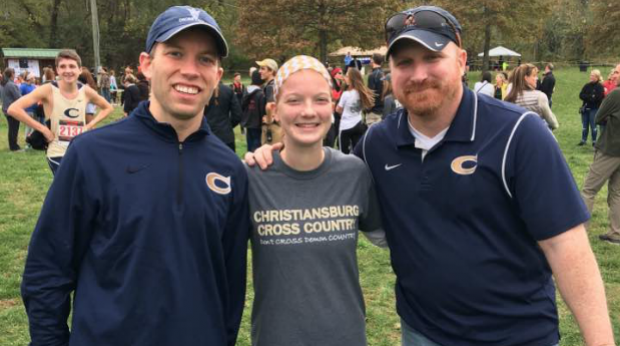 Coach Porter is the distance coach at Christiansburg who alongside head coach Tommy Trotter helped lead their team to the 3A State Title. The guys from Christiansburg scored a solid 62.5 points to win ahead of Western Albemarle, I.C. Norcom, and Heritage. His distance core, who he also coaches to a state runner-up finish in XC scored a staggering 50 points at states. Ethan Mills led the way with victories in the 1K and 1600 but his teammates came up big too. In the 1K they scored 18 points, in the 1600 they scored 22, and they won the 4x800m relay. He joins Mark Love (Patrick Henry - 2018), Cherie Witt (Western Albemarle - 2017), Van Porter (E.C. Glass - 2016), and Jeff Artis (Western Branch - 2015) as an Indoor award winner. He also joins James Nixon (Grassfield - Outdoors 2018 COY) and Artis as one of the few assistant coaches to win this award.